POLI.design operates in the Design sector, acting as a link between universities, companies, public and private institutions and professionals. It provides training for young graduates and professionals as well as training for companies with a special focus on innovation. Its activities aim at the internationalisation of businesses, establishing from time to time dedicated partnerships with universities, schools, public bodies, institutions and companies. In 2010, Aldo Cingolani founded the master’s course “Design for architecture” with the collaboration of the Poli.Design of Milan. Sammi Export. Founded in 1968 in the heart of Val di Chiana, Sammi Export is a leading company in the design and production of small metal parts and accessories for technical, sports and fashion footwear in collaboration with the most important brands in the footwear sector. With the contribution of renowned partners such as Bertone Design, the company aims at creating products with unique design features that are functional at the same time, always trying to combine “knowledge” with “know-how”. Coldwell banker is a real estate agency founded in 1906 in San Francisco which operates in 49 countries and offers high quality services in the housing sales and rental market. The collaboration with Bertone Design allows Coldwell Banker to offer its clients Design, Renovation, and Interior Design services in the housing market with the guarantee of receiving unique high quality projects produced with the Bertone Design brand which increases the value of the finished product over time. 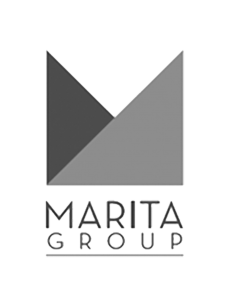 Marita Group Holding is a global company which deals with turnkey solutions in the real estate development, theme parks, renewable energies and production of electric vehicles. Marita Group operates in over 4 continents and 9 countries. The group has been able to expand its business greatly and has completed numerous and important projects in the residential sector, resorts, retail, hotels and schools. In collaboration with major automotive manufacturers, the Marita Group introduced the first transport system for electric vehicles for the public and private sectors in Africa. One of the main principles of the Marita Group is sustainability. For Marita, it represents the most socially responsible method of development. Marita Group aims at providing its services throughout the whole continent in the future offering high-level “turnkey” solutions. Their vision is based on a policy of self-financing and affiliations with the best partners worldwide with which they share a common goal. FAE Technology Spa is a provider of electronic solutions with a mission specially focused on innovation as a tool to offer customers tangible benefits through continuous research and development. From concept and design to the production of electronic boards and devices, FAE Technology continues the heritage of FAE and FAE++, from which it was born, and can count on the expertise of an efficient group of men and women who share the same values, professionalism and experience. People who are ready to create a new paradigm, turning FAE Technology into a reference company in the field of electronic solutions. 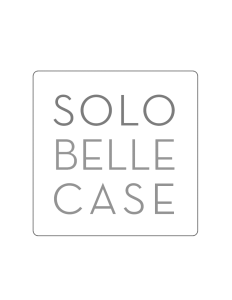 Solobellecase.it is an Italian portal dedicated to the medium/high end real estate market which proposes beautiful housing solutions including townhouses, offices, penthouses and villas. The most distinctive characteristic of the website is that it lists only real estate agents present throughout the country, carefully selected based on legal requirements, target of the properties, clientele and quality of the services offered. The portal includes 3,500 agencies and almost 100,000 properties managed and divided between residential and commercial properties. The objective of Solobellecase is to create an online showcase where to buy or sell beautiful houses with the help of only the best real estate agents. To guarantee a high level of security and protection to buyers, advertisements by private individuals are not allowed. 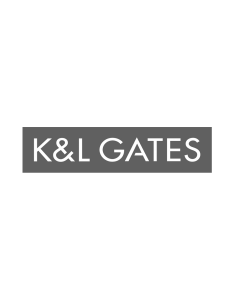 K&L Gates is a fully integrated global law firm with more than 125 years of history and more than 2,000 lawyers operating in five continents. The company represents multinational companies, rapidly growing companies and SMEs, the most important players in the capital market and entrepreneurs in all sectors as well as public bodies, education institutions, philanthropic organisations and individuals. The office in Milan opened in 2012 and it has continuously grown since then, acquiring all the expertise needed to deal with the complexity and changeability of the current economic and regulatory scenario. Thanks to highly trained professionals and its own global platform, K&L Gates is capable of offering legal assistance in more than 40 jurisdictions. The great expertise, dedication and discretion of its professionals allow the firm to assist clients even in the most complex operations and scenarios, supporting them in achieving their objectives and safeguarding their interests.